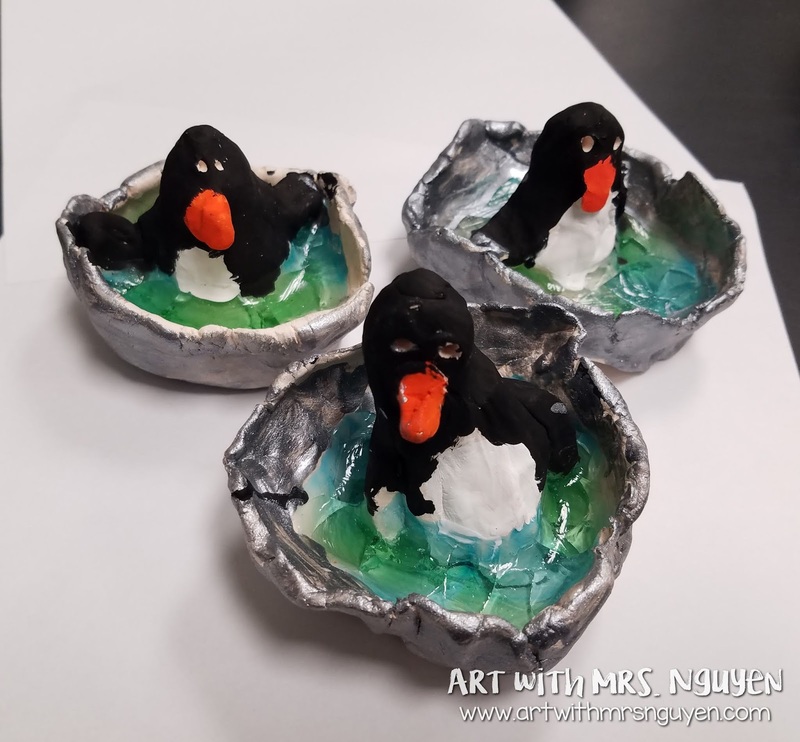 FINALLY I get to post about this adorable clay penguin project that I've been doing with my first graders for the past couple months! 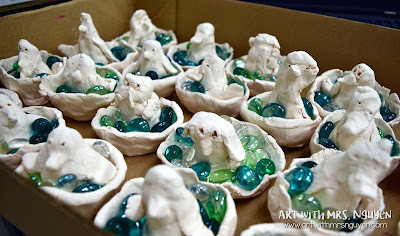 I got the entire idea for this project from the art ed blog, Thomas Elementary Art! 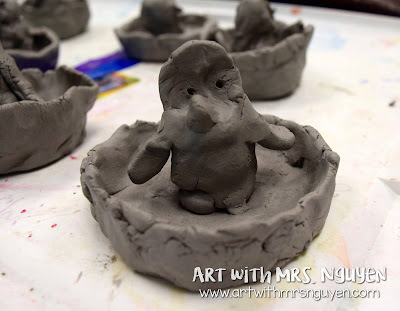 On the first day I had my first graders create a wide shallow pinch-pot that would act as the base for their penguin sculptures. Then on the second day I demonstrated how to create the clay penguin to add into their pinch-pots. 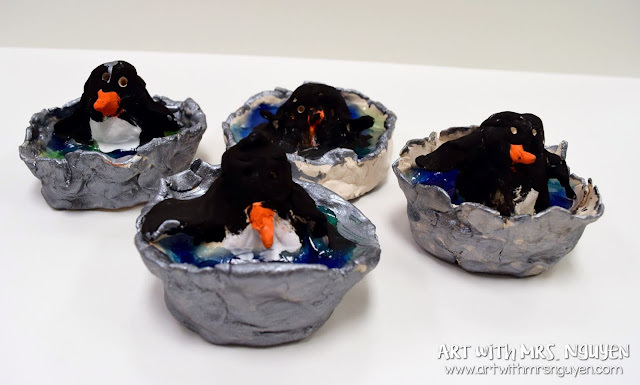 First I had my students roll a new piece of clay into a ball and then stick their thumb into it (just like how you would start a pinch-pot), but instead of just making a shallow thumb hole, I had them really push their thumb into the clay. Then using their other hand, they squeezed the clay around their thumb to create the base body for their penguins. After wiggling out their thumb, students then added on the wings and beak by smoothing pieces of clay onto their body base, and then finally used a pencil to poke eye holes. 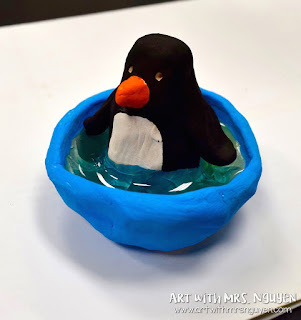 Once their penguin body was finished, they placed their penguin into their pinch-pot from the day before and smoothed the bottom of the penguin's body into the pinch-pot. Because the penguin's body is hollow (from where their thumb was inside of it), I then had to poke a hole in the bottom of the pinch-pot so air wouldn't get trapped inside. 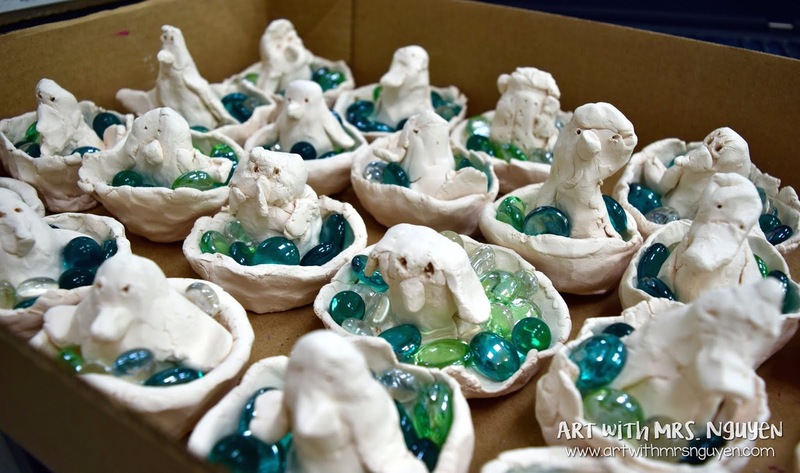 After bisque firing the penguins, the next step was to add the "water" to the bowls. To do this I just added some colored pebbles of glass (like the kind used in fish tanks) into the pinch-pot and then fired them again at cone 05. During their next art rotation, my first graders used tempera paints to add some color to their penguins and a cool sparkly silver tempera paint to add some color to the pinch-pot base. While this project was a bit more of a time investment for me, I'd say it paid off big time! 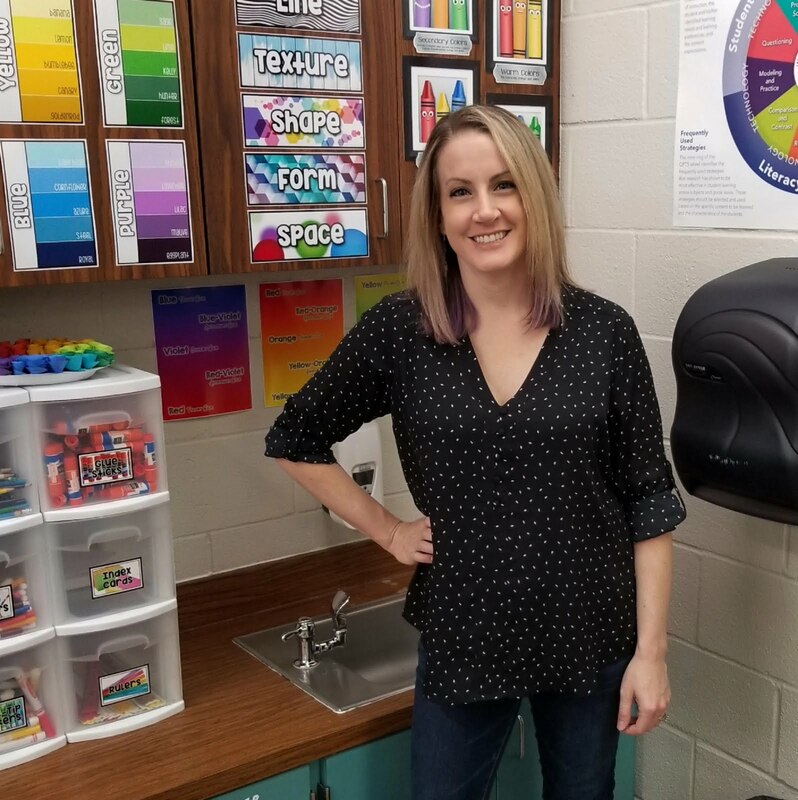 My kids LOVED this project! Definitely a keeper for next year! !